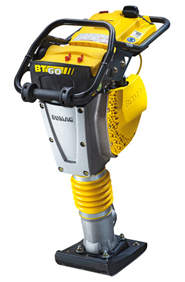 One Source Equipment Rentals has gas powered jumping jack tampers, also called rammers, for rent or sale from Bomag, and Wacker. These high impact force (amplitude) units are great at compacting cohesive soils like silt and clay. 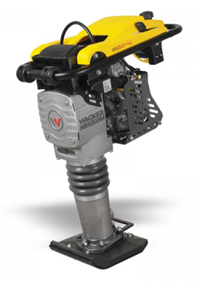 Their compact design allows them to easily work in trenches and other tight areas. Applications include: pipe line and sewer line backfills, foundations, and asphalt repair work.